Every hour of downtime reduces productivity and can cost your business serious money. 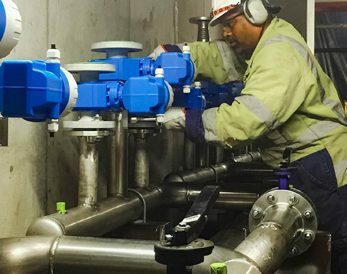 IMG has a proven track record over the past 15 years of working with clients large and small to make sure that their mechanical maintenance, shutdown or running plant maintenance work plans are completed on time and on budget. IMG can cater for your specific requirements, be it 1 person or 150. Whether you have planned or unplanned maintenance our specialist mechanical maintenance and shutdown team understand your concerns, we’ve been doing this successfully for a long time. With our 2 workshops and our range of mobile equipment we’ll reduce your turn around times saving you time and money. Get in touch with us and let us put the right plan in place for maintaining equipment in your business.